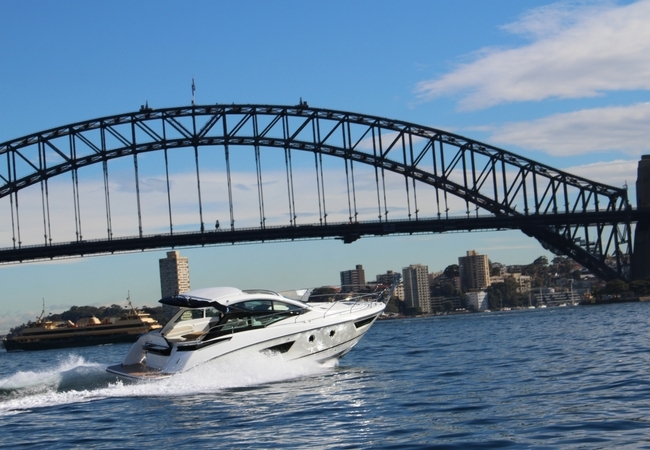 With its sleek profile and attractive curves, the Gran Turismo 40 will generate envious looks wherever you go. 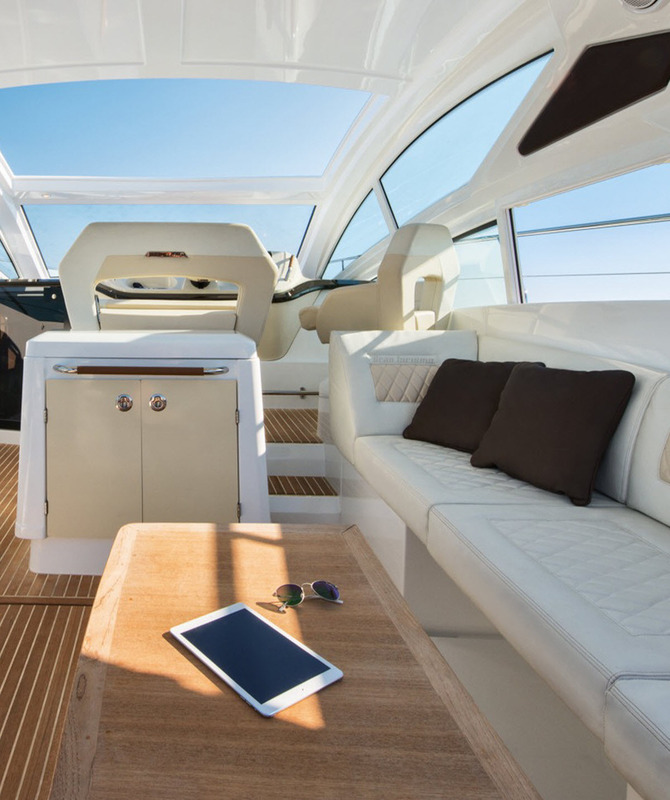 This sports cruiser, with a marked Italian character, carries pilot and passengers at full speed but in complete safety, riding on the air cushion effect of the latest generation Air Step technology. 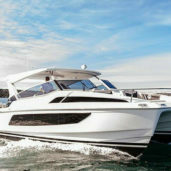 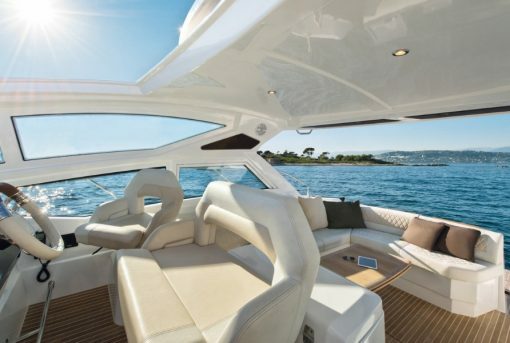 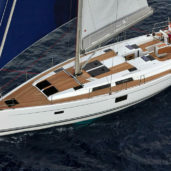 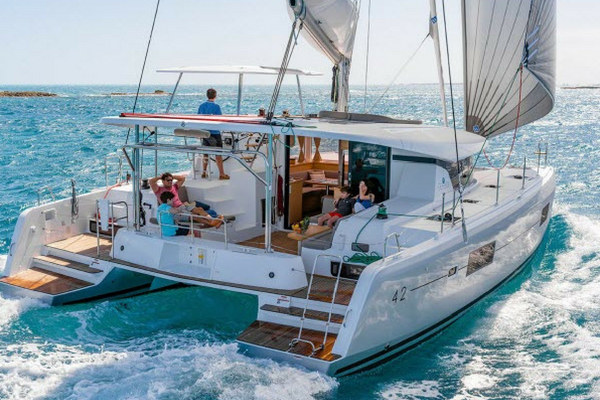 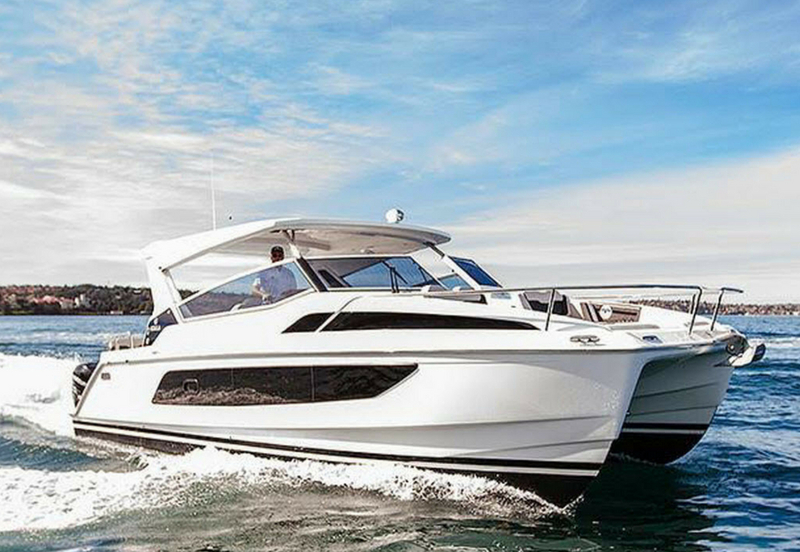 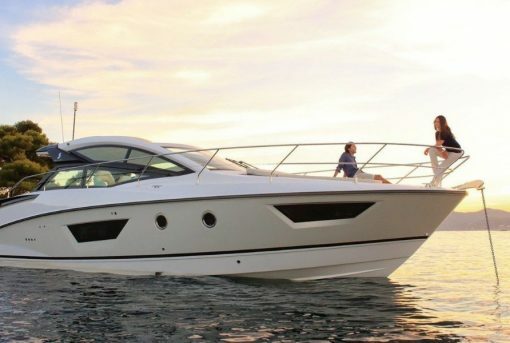 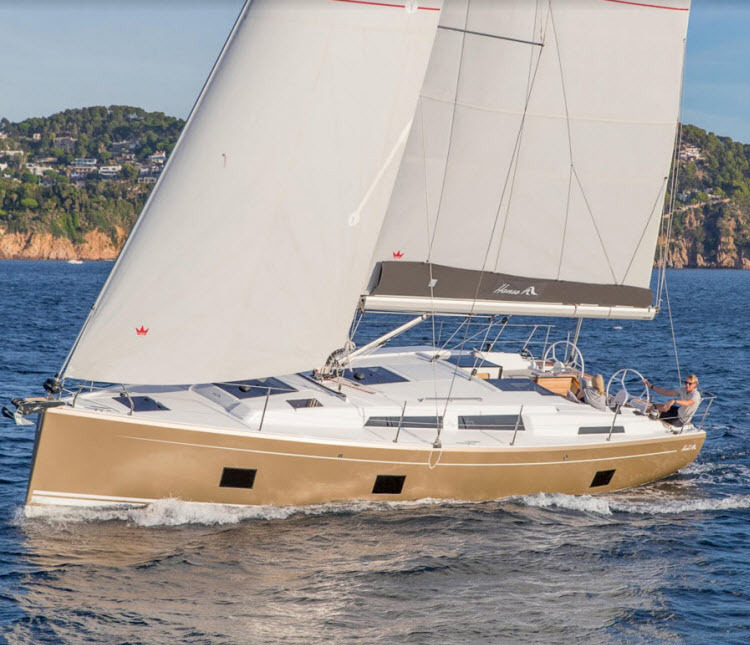 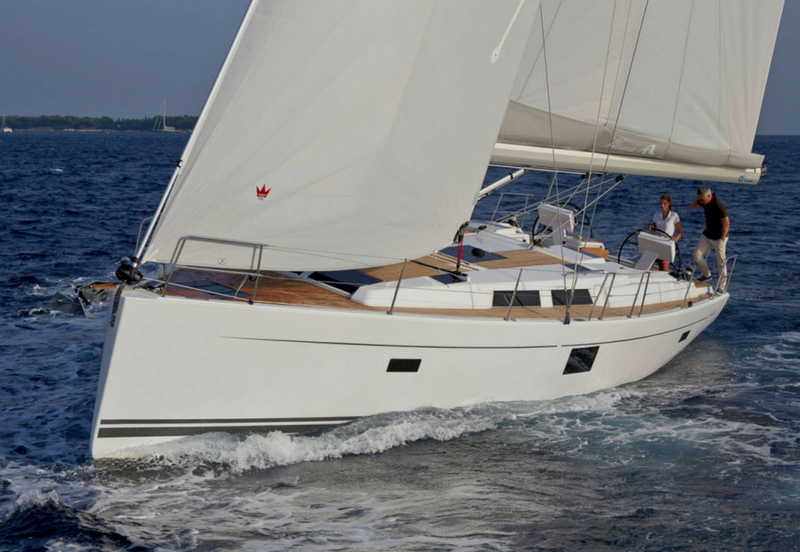 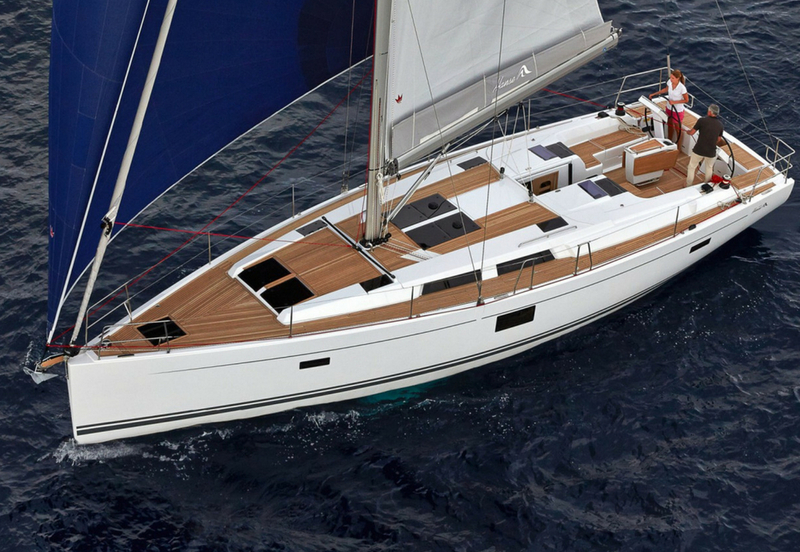 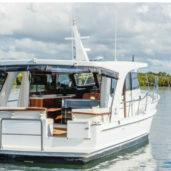 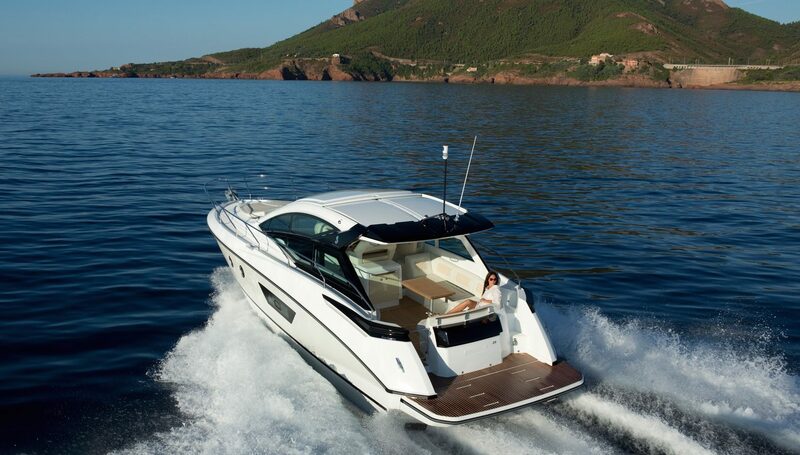 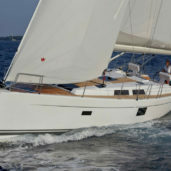 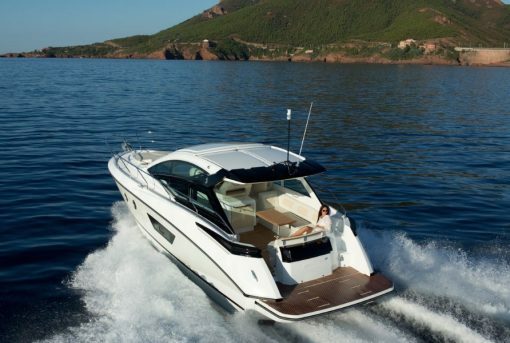 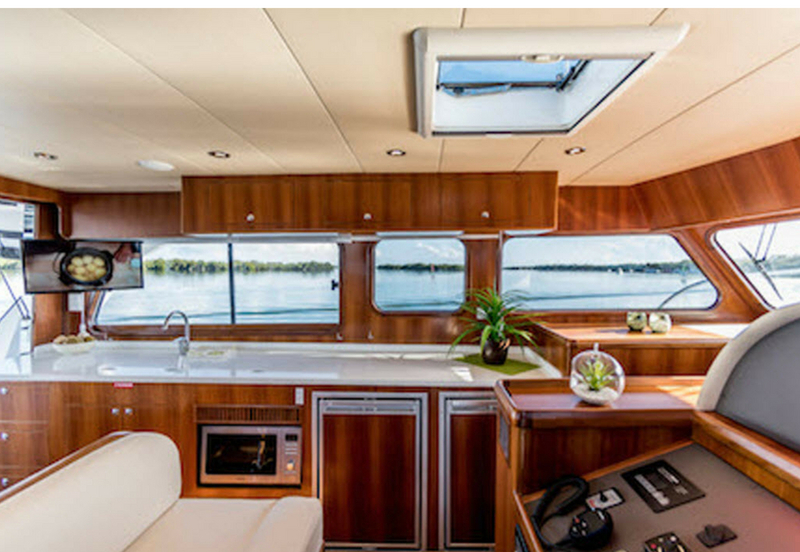 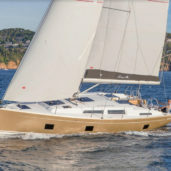 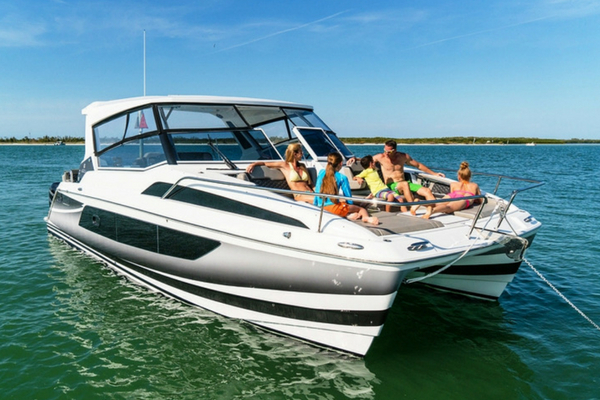 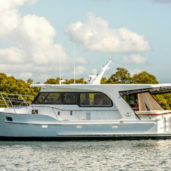 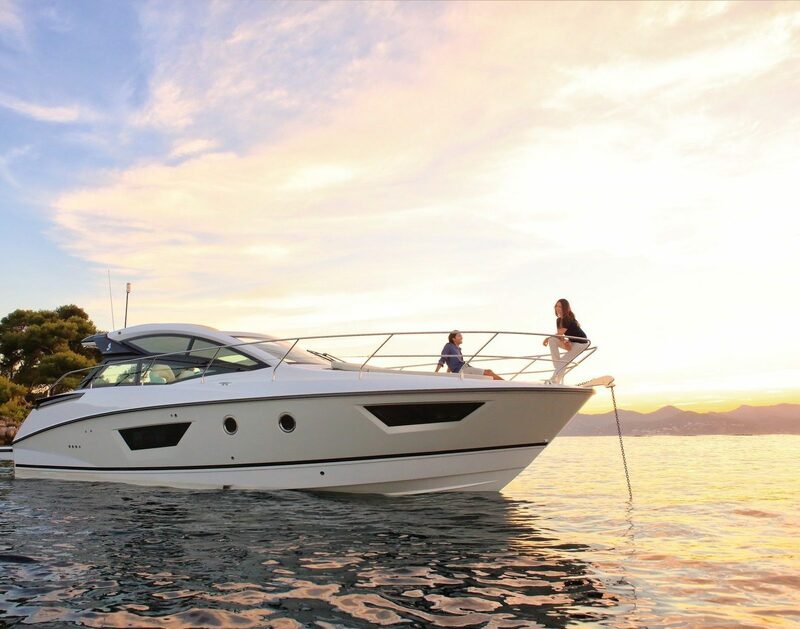 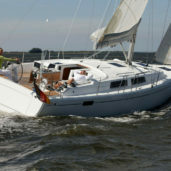 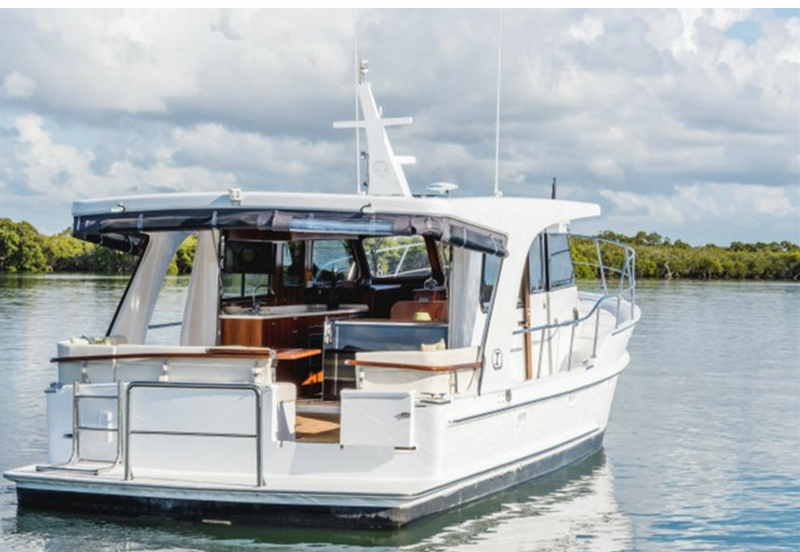 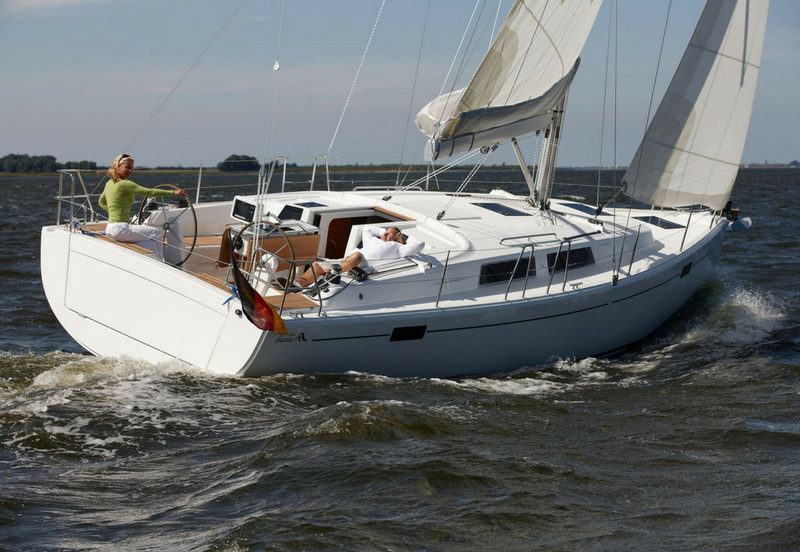 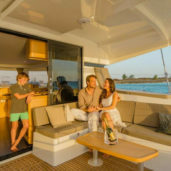 The Gran Turismo 40 offers a sublime entertaining space and a class-leading cockpit with seating for up to 12 people, providing ample space to fully enjoy the thrill of being on board. 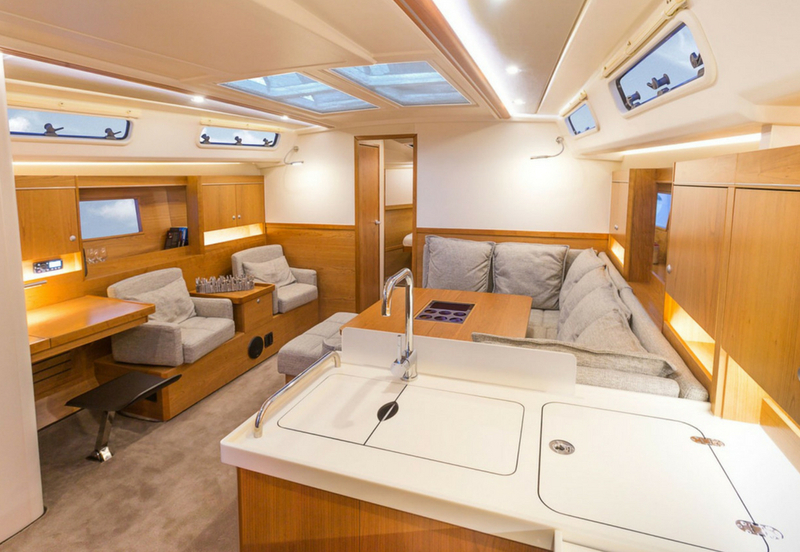 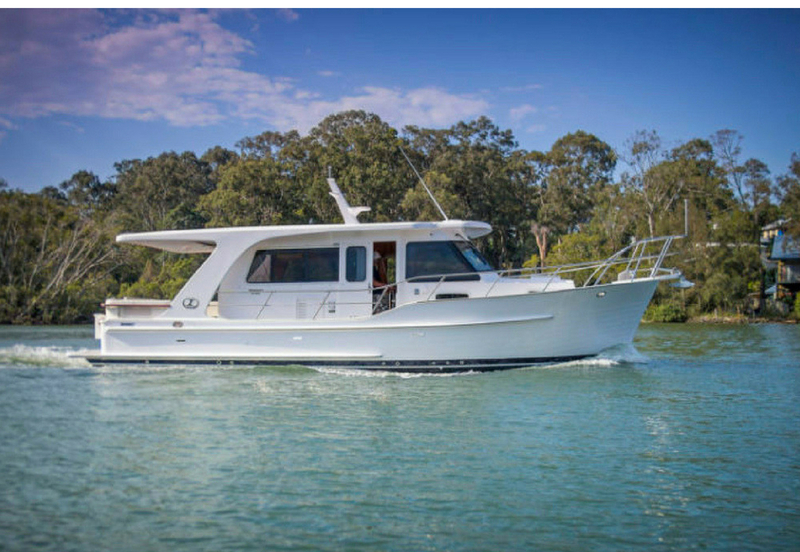 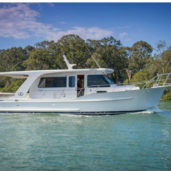 Huge side windows, a large electric opening sunroof and seats that convert into sun beds make the GT40 the ultimate pleasure craft … there’s even an integrated BBQ and sink on the transom. 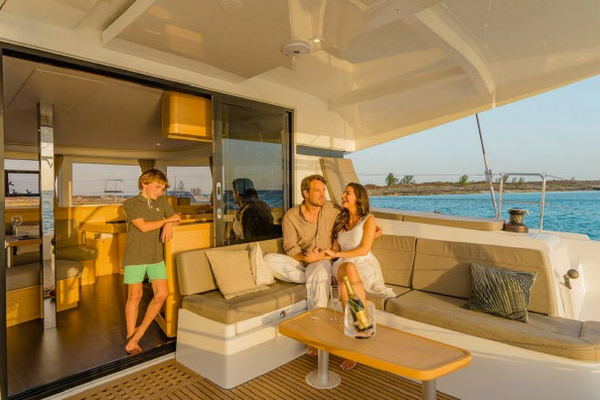 Down below, the two-cabin layout featuring a fully equipped galley and spacious bathroom are perfect for extended cruises with family and friends. 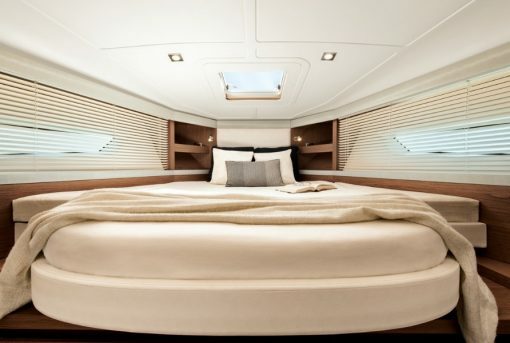 You will always feel ‘at home’. 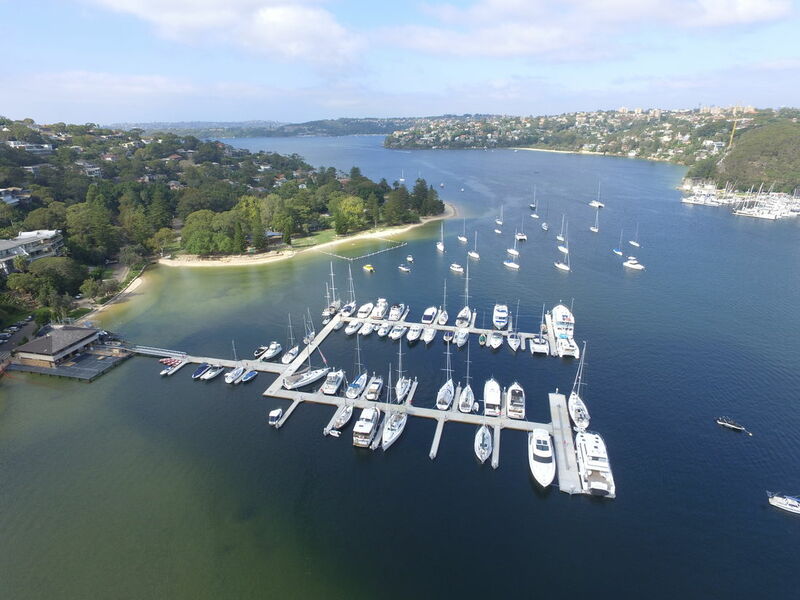 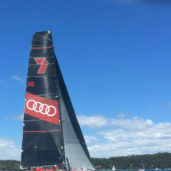 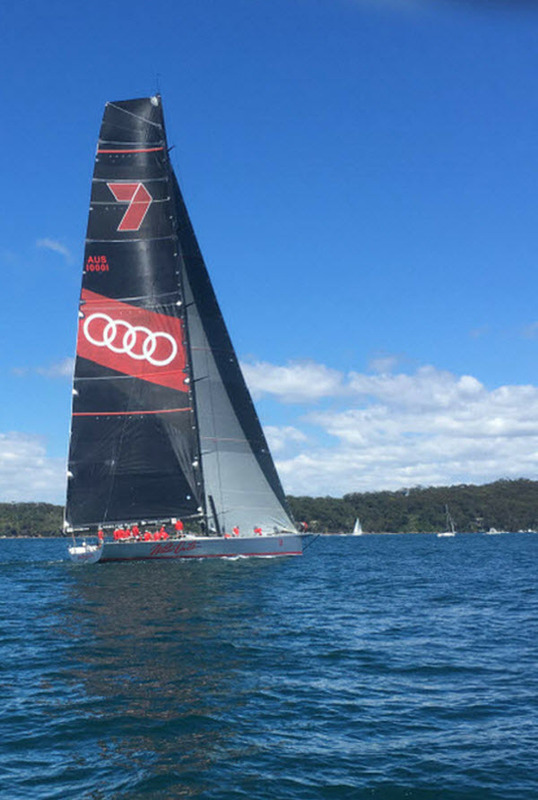 Your GT40 will have her own berth at the recently refurbished Clontarf Marina, in Sydney’s Middle Harbour. 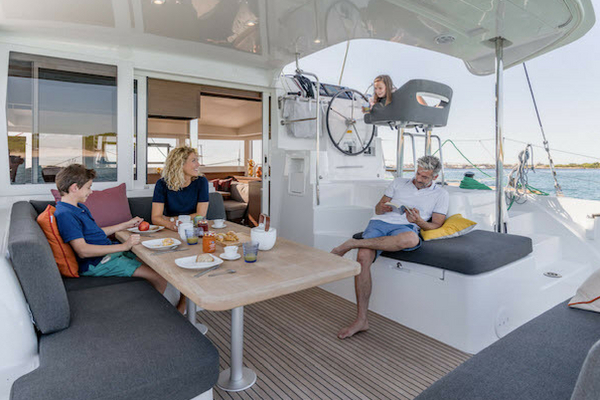 The newly expanded marina also features a stunning alfresco café/restaurant, Sandy Bear, boasting an enormous 370 sq m deck, so you can get your supplies and ice just prior to boarding your beautiful new GT40. 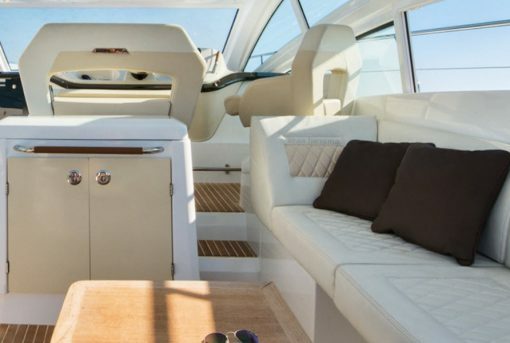 The Gran Turismo 40 has the largest cockpit in its class and it provides ample seating for up to 12 people. 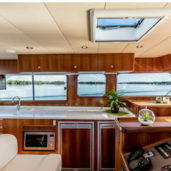 You can convert the large teak table in the cockpit to a sunbed and open the electronic sunroof and the side windows to perfectly control the amount of light, shade and breeze. 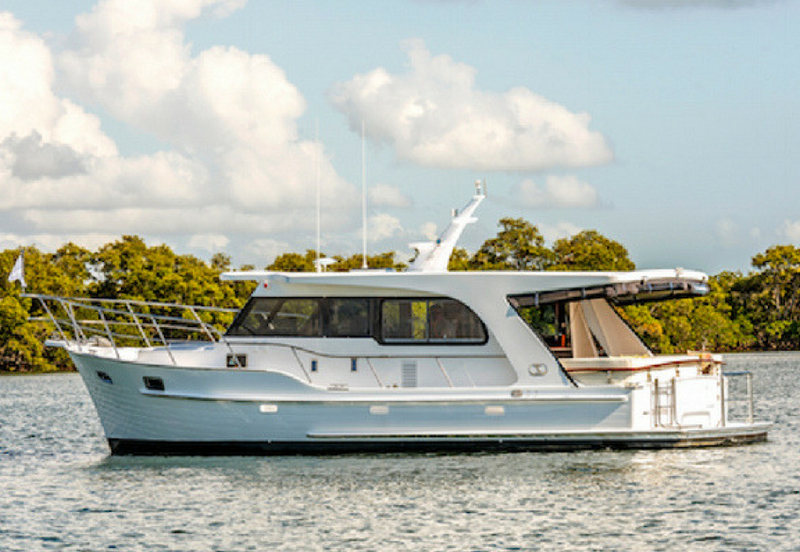 The large hydraulic submersible swim platform is the largest in its class. 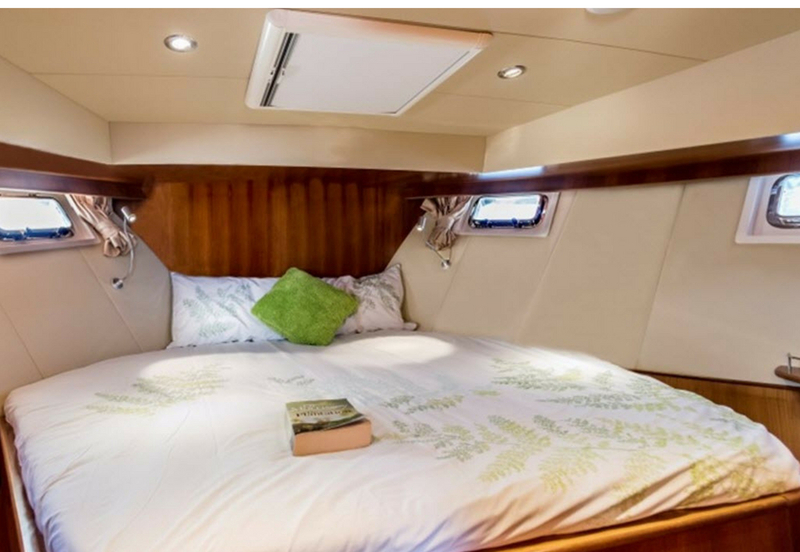 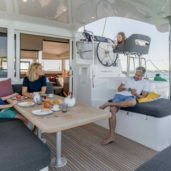 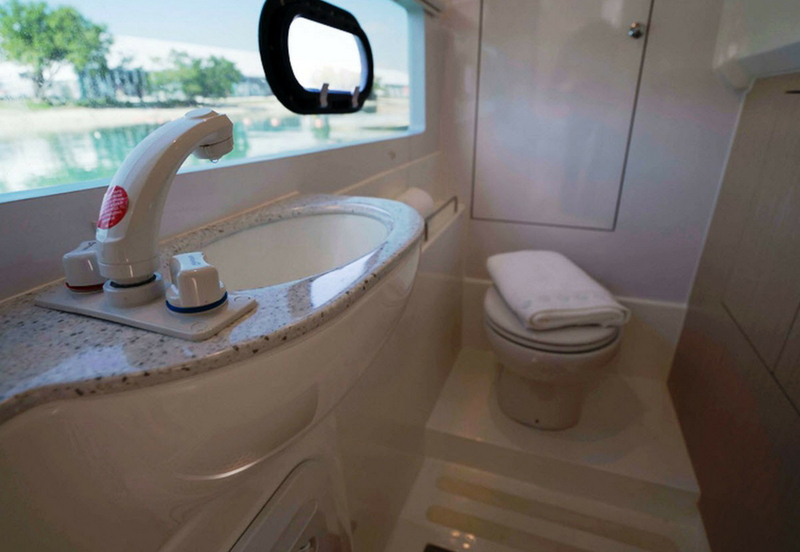 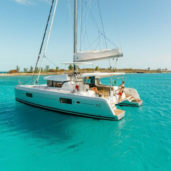 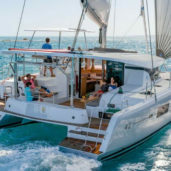 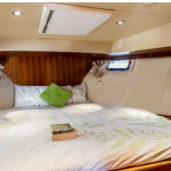 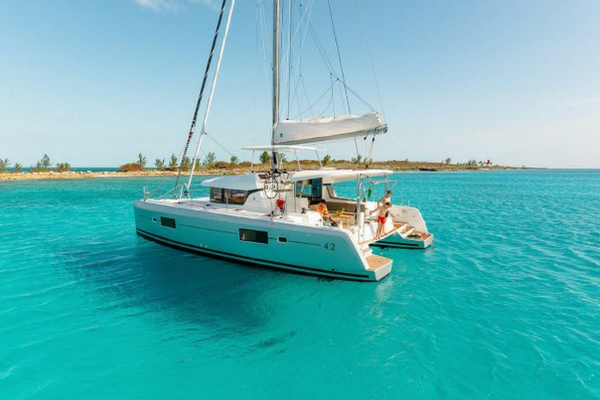 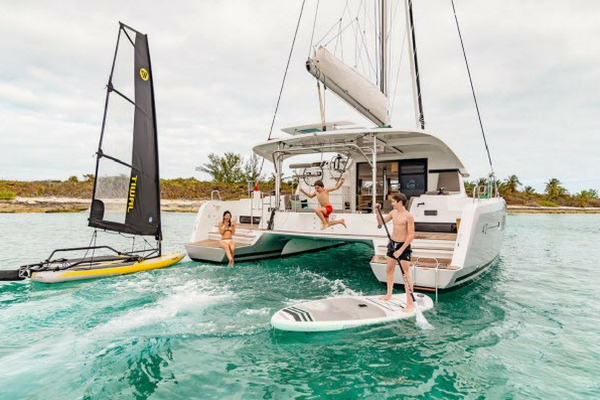 It dips 10cm under the water for easy access for water sports and swimming and it also stabilises the boat at anchor for a comfortable night’s sleep on board. 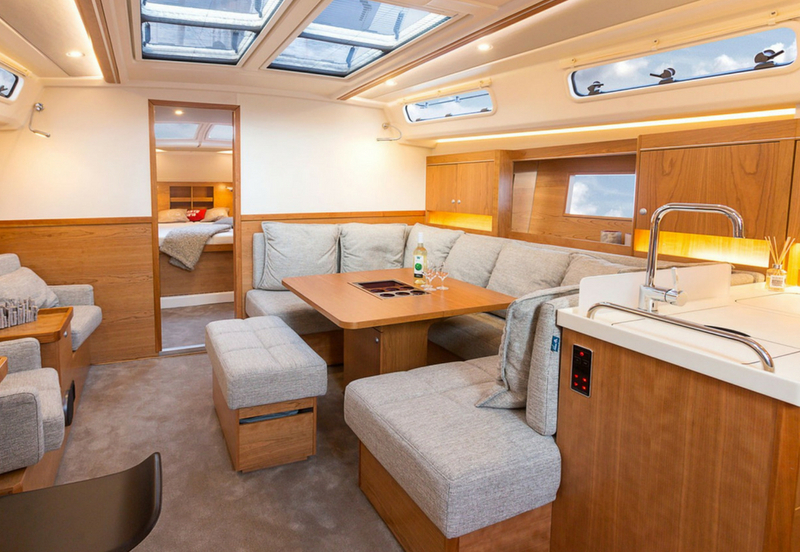 The light-filled interior of the Gran Turismo 40 is pure Italian indulgence and elegance, delivering sumptuous luxury with its Alpi matt walnut woodwork, padded and lacquered furnishings, soft-touch leatherette upholstering and Corian® worktops. 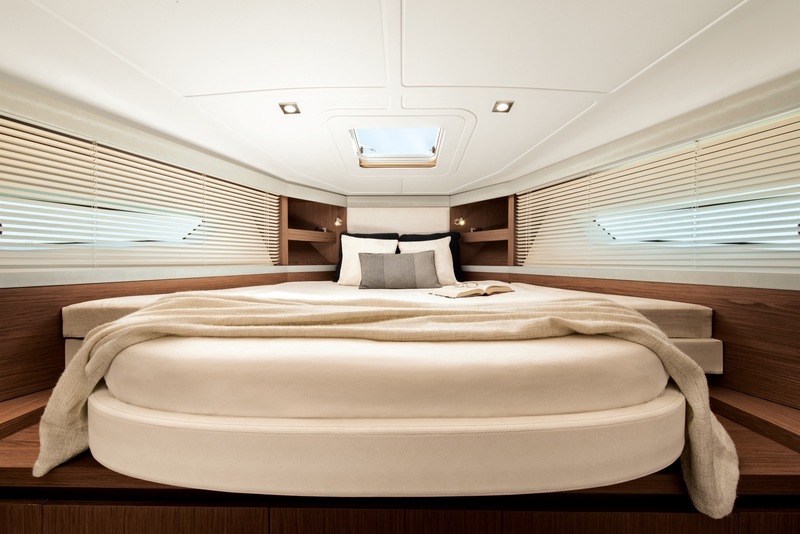 Forward, the spacious master stateroom has an island bed and aft, the second room has convertible twin beds.